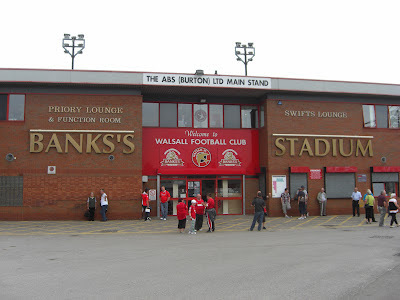 My fifteenth stadium of 2012 was on Saturday 11th August 2012 at the Bescot Stadium in Walsall, West Midlands. The match was Walsall vs. Brentford in the Capital One Cup 1st Round. 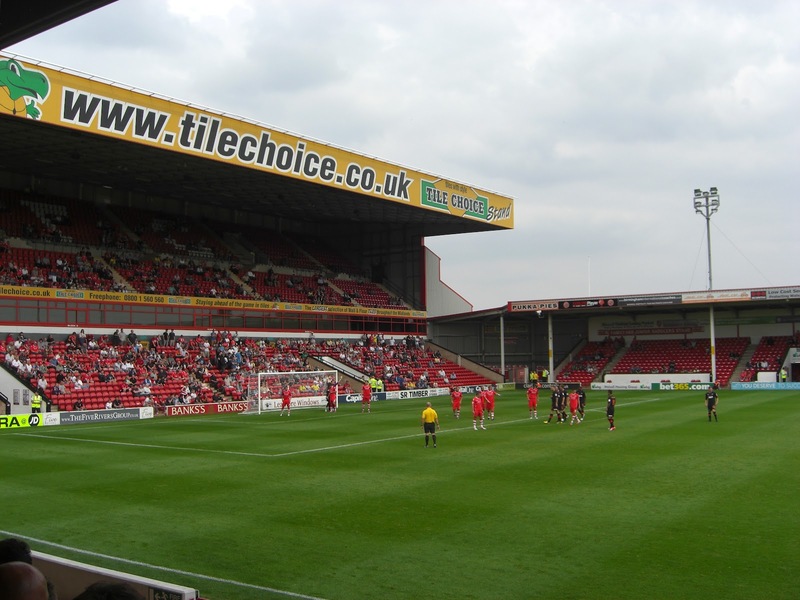 The Bescot Stadium, also known as Banks's Stadium, is located in a retail park around 1.5 miles south of the town centre of Walsall. 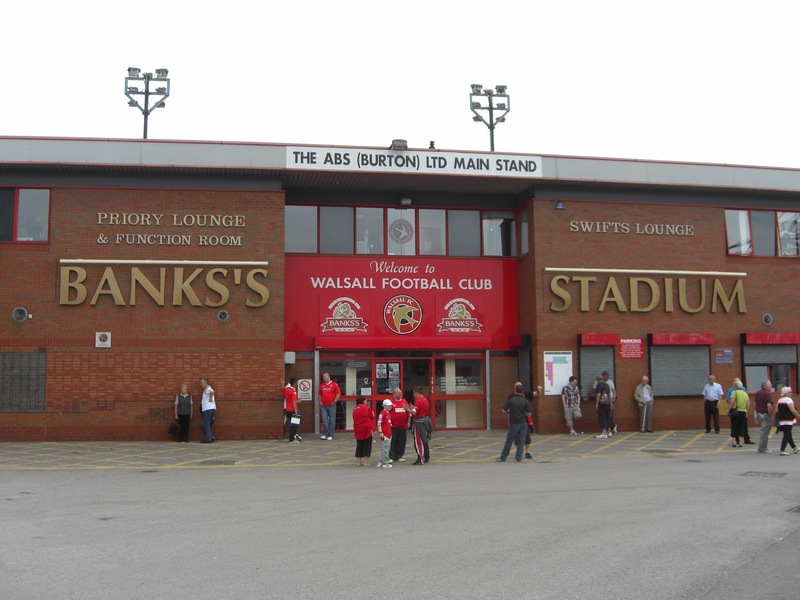 The venue is served by Bescot Stadium railway station which is just a few hundred yards south of the ground. 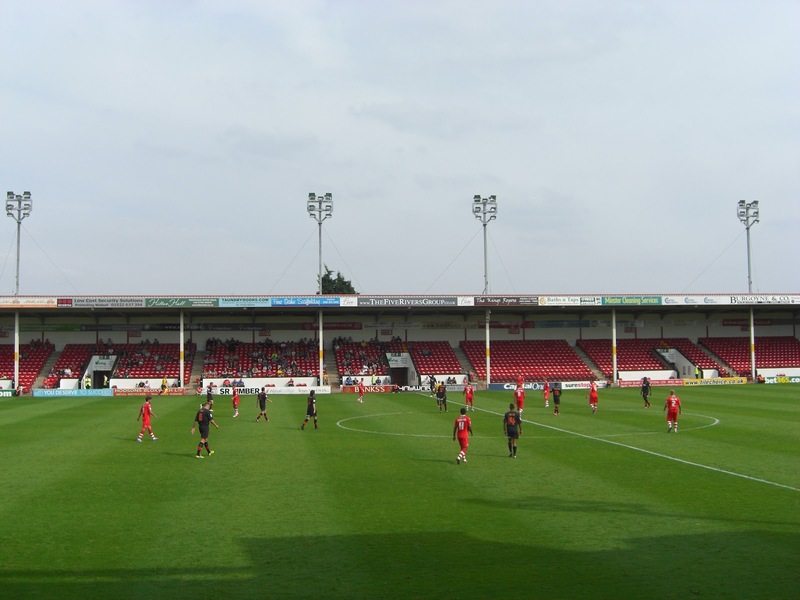 The club moved to the Bescot Stadium in 1990 from their previous home at Fellows Park where they had played since 1896. 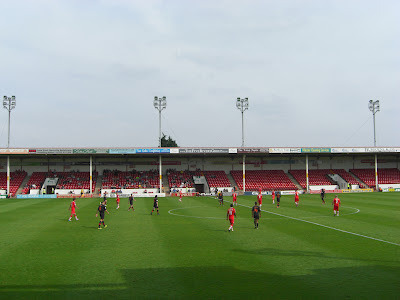 The stadium was originally designed to have four single-tier stands of identical height but over the course of the 2002/03 season the club rebuilt the stand behind the goal at the northern end of the ground making it a two-tiered structure with hospitality boxes sitting in between the two tiers. With a capacity of approximately 4,100 this is also the only stand in the ground which does not have stanchions blocking the views of spectators so is generally considered to be the place with the best view in the venue. The other stands remain as they were when they built with the Main Stand on the west side of the ground holding 2,400 supporters along with the other club facilities such as executive boxes, ticket office, club shop and players dressing rooms. The view from the centre of this stand is better than much of the ground as two of the original supporting beams were removed. Opposite this is the East Stand which has an identical capacity and is also includes the family stand area. Behind the goal at the southern end of the ground is the smallest stand in the ground which has a capacity of 1,900. 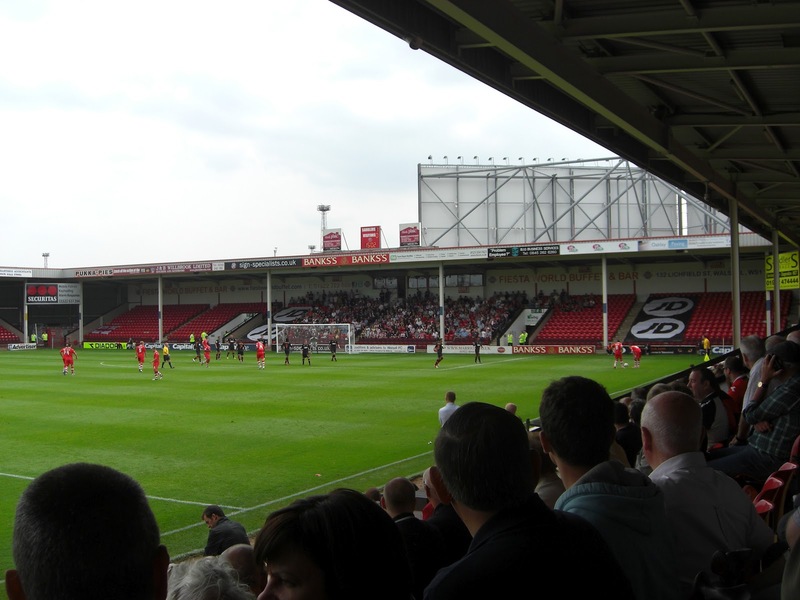 The game was a League Cup 1st Round tie between Football League One sides Walsall and Brentford. The home side took an early lead in the 8th minute to silence the away fans. A promising Walsall attack was halted by a good tackle by Brentford defender Kevin O'Connor but the ball then fell to Ashley Hemmings who produced a clinical shot into the bottom of the net from 12 yards out. Things got worse for the visitors in the 25th minute when they were reduced to 10 men after Jake Reeves was dismissed for a dangerous tackle on Walsall's Adam Chambers. The home side looked to use the numerical advantage to kill off the game and played some good passing football but were just unable to add another goal before the break. Brentford came out for the second period with real purpose and put the home goal under real pressure drawing an excellent save from David Grof after a stinging long-range effort. Just after the hour mark Brentford had their best chance of the game but a header from a couple of yards out failed to hit the target and maintained Walsall's clean shot. The game petered out towards the end and Walsall hung on for a 1-0 victory and a place in Round 2.